A senior Israeli official said Tuesday that the US recognition of Israeli sovereignty on the Golan Heights will help Jerusalem lay claim to other lands it captured during defensive wars. The official, whom the New York Times named as Prime Minister Benjamin Netanyahu, appeared to be hinting at potential future West Bank annexation. “This is important from a historical and political point of view,” said the official, who spoke to the traveling media on condition of anonymity as Netanyahu’s entourage returned from Washington. 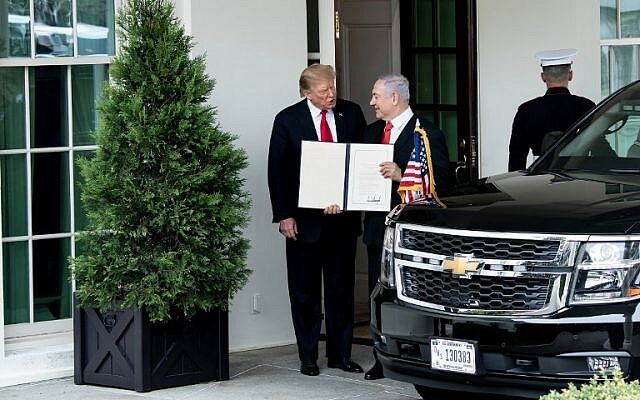 “We are in a confrontation with Iran and this [Golan recognition] hurts the Iranians [also because it] demonstrates that the US gives us absolute and powerful backing,” the official said in Hebrew. “The second thing is a principle that everyone says it is impossible to hold on to occupied territory, and behold — it is possible. If it was captured in a defensive war, it is ours.” The New York Times attributed this comment to Netanyahu. 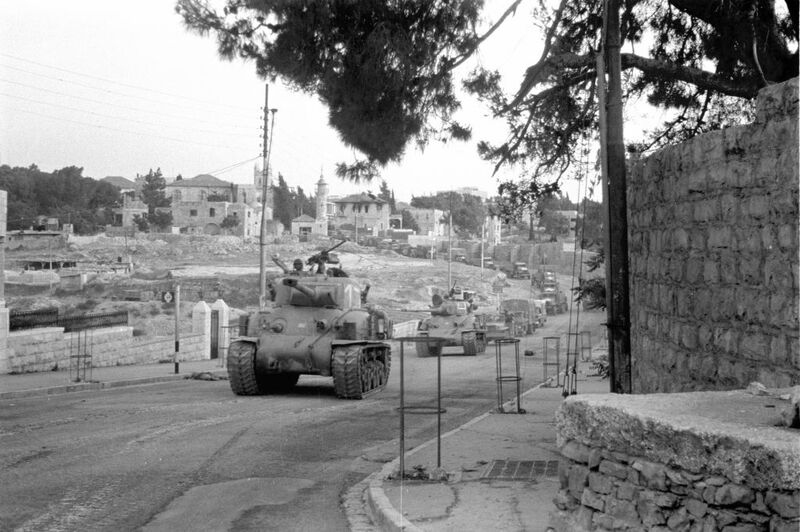 Israel also took control of East Jerusalem and the West Bank from Jordan during 1967’s Six Day War, which Jerusalem terms a defensive war, even though it struck first, because it was facing mobilized Egyptian forces, but the matter remains contested. 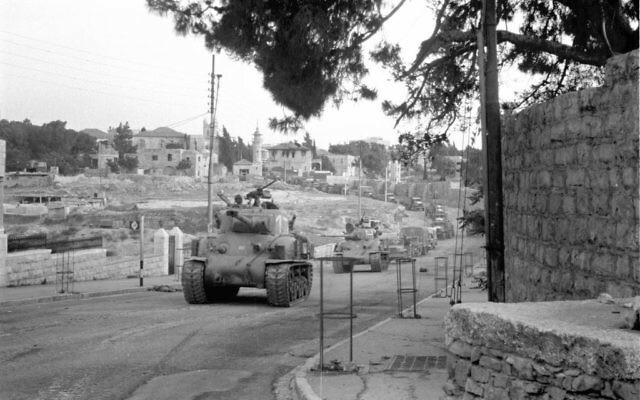 Israel extended Israeli law to the Golan in 1981, a step tantamount to annexation. Israel has also extended sovereignty to East Jerusalem, though not the West Bank. The official made no direct mention of the West Bank and East Jerusalem, areas the Palestinians want for a future state. Right-wing Israelis, including some cabinet ministers, are in favor of extending Israeli sovereignty to, or formally annexing, parts or all of the West Bank. Netanyahu has said in the past that under any future agreement Israel will maintain security control of the Jordan Valley, a strategic passage along the West Bank. The official said that during talks with Trump, the prime minister also presented the US with a plan to solve the crisis in Syria, where Israel fears Iran or its proxies is working to establish a military foothold on Syrian territory from which to attack Israel. Israel claims a unified Jerusalem — including the eastern parts of the city — as its indivisible capital and has established settlements throughout the West Bank. Israel’s authority over East Jerusalem is not recognized by the international community which views the eastern part of the city and the West Bank as occupied territory. Trump is posed to reveal his “Deal of the Century” plan for resolving the Israeli-Palestinian conflict, reportedly after coming Israeli national elections on April 9. The Palestinian Authority has already said it will reject the plan.